Learning allows us to become the best versions of ourselves. As we gather knowledge and develop skills, we can reach our full potential. For many of us, both young and old, we may associate past learning experiences as anything but fun. In some cases, learning can even feel like a chore. It doesn?t matter how important what we are learning is, if those of us learning are bored out of our minds! At Fun Academy, we believe learning can be an exhilarating, motivating and transformative experience. It should fuel curiosity, foster creativity, and trigger a hunger for learning MORE! We want every child to become lifelong learners. The best way to make learning engaging and achieve these key goals is to make learning fun! We developed the ?Fun Learning? approach based on Finnish pedagogical expertise in combination with the best education practices around the world. It is a holistic approach to early education which helps teachers promote key life skills and nurture a passion for learning in young children from the very start. It also enables teachers to bring scientific thinking, nutrition, physical activity, mindfulness and meaningful use of technology, into the classroom by encouraging collaborative learning through play and exploration. Fun Academy’s Future Astronaut Program, developed in partnership with Space Nation, combines the wonders of space with the opportunity to train like astronauts from here on Earth. 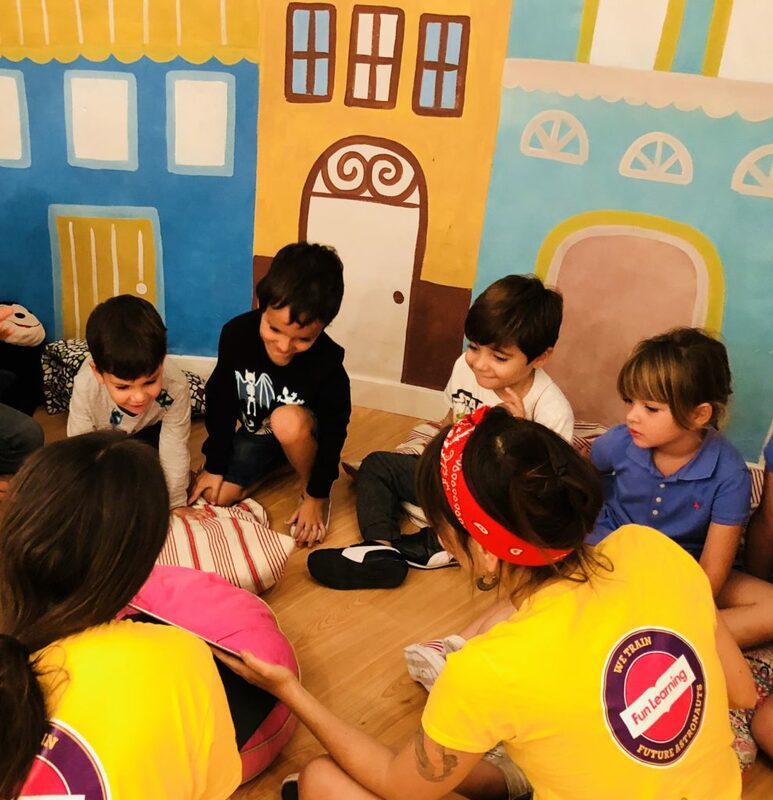 The program harnesses important life skills such as problem solving, teamwork, critical thinking, and cultural competence through space-inspired themes, helping children to develop them through fun filled engaging activities. We also have our quirky and lovable fun learning characters Tuka, Maco, Waaba and Soca, who take us on numerous fun learning adventures. They never preach but teach through their own experiences of exploring, failing, and trying again together. on the fun learning approach combined with the best quality material and innovative education technology.